More than 5,000 people are killed each year as pedestrians in traffic accidents, according to the National Highway Traffic Safety Association (NHTSA). 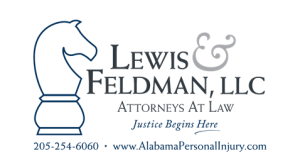 Pedestrian injuries can be extremely severe. Injuries to the spinal cord, head, neck, or paralysis, broken bones, loss of a limb, or death can all occur to pedestrians struck by vehicles. Adults 65 and older account for 19% of all pedestrian deaths and 13% of all pedestrians injured. One in every five children under the age of 15 who were killed in traffic crashes were pedestrians. Distracted driving, such as texting, talking on the phone, eating, and more. Speeding, of course, the higher the speed the worse the injuries are to the victim. Failing to yield to pedestrians legally using the crosswalk. Blatantly disobeying traffic signs and signals. Driving in inclement weather or poor traffic conditions. In most cases, if you are hit by a car, you will typically file a legal claim against the driver of the vehicle. However, you could potentially have a case against the municipality if the area in which you were hit was unsafe due to a defect with the traffic lights and signs, and you can prove that it played a role in the accident. Keep in mind that jaywalking is considered illegal, and you want to be sure to use a crosswalk at all times; however, traffic laws do require that drivers be alert and aware of pedestrians and potential road hazards at all times. Both drivers and pedestrians must exercise reasonable care and follow traffic rules at all times. Pedestrians that are hit in crosswalks have a very strong case against the driver because the driver is almost always at fault. If you have been injured or a loved one has been injured or killed in a pedestrian or runner accident, you may be eligible to receive compensation under the law. In the right circumstances, we are prepared to start an action and pursue money damages on your behalf.